Profitability of state-owned refiners such as Indian Oil Corp (IOC) may come under pressure if the government asks them to temporarily freeze the prices of petrol, diesel and other fuels ahead of general elections, Moody's Investors Service said Tuesday. Moody's expects India's state-owned oil companies will continue to pay high dividends in the next financial year, which will be negative for refiners but the oil producers will not be as significantly affected. 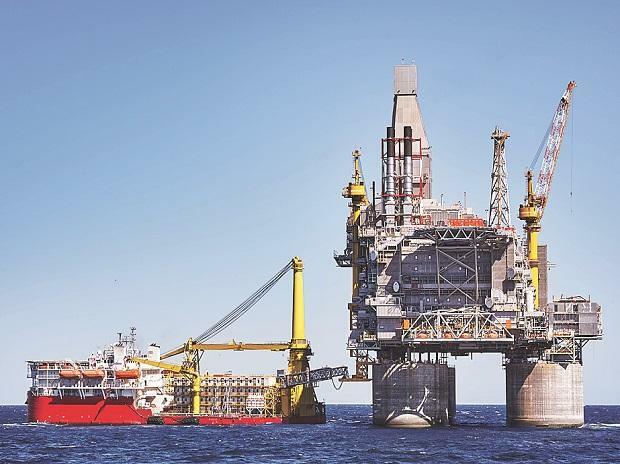 It expected Oil and Natural Gas Corp (ONGC), IOC, Oil India Ltd (OIL) and BPCL to maintain high dividends payments as well as conduct share buybacks in the financial year 2020. Refiners IOC and BPCL also need to invest in upgrading their refineries over the next 12-18 months to comply with tighter emission norms. IOC, it said, is better positioned than BPCL to maintain its credit quality given its large scale and stronger credit metrics. Moody's said despite the increase in dividends and share buybacks by the upstream companies ONGC and OIL, their total outflow to the government has significantly declined since 2015, because they have stopped sharing the country's fuel subsidy burden. The companies will continue to invest in exploration and development activities, which will likely be funded with retained cash flow. As a result, their borrowings are unlikely to increase meaningfully. Dividend payments will remain at a similar level in financial year 2020 but share buyback amounts will likely fall as the oil companies' reduce their cash balances so that they do not qualify for share buybacks under the capital restructuring guidelines issued by the Department of Investment and Public Asset Management in May 2016, it said. ONGC and IOC are unlikely to conduct further share buybacks in the financial year 2020 as there needs to be at least a 12-month gap between two share buybacks. Both firms conducted buybacks in the current financial year. As per policy, all government-owned companies have to pay a minimum dividend of the higher of 30 per cent of the net income or 5 per cent of net worth. In addition, government-owned companies should look to pay maximum dividend permissible by law. These firms have to conduct share buybacks if both net worth exceeds Rs 2,000 crore and cash and bank balances exceed Rs 1,000 crore. Moody's said the oil companies' shareholder returns will provide the Government of India with the cash to meet its fiscal deficit target. "The government has been increasing its reliance on the oil and gas sector as a source of revenue over the years. As oil prices fell in early 2016, the government imposed taxes on the production of petroleum products which accounted for about 24 per cent of government revenue for the financial year 2018. "Following the recent increase in oil prices, the government had to cut these taxes to limit the impact of high prices on consumers in India. We believe the government is unlikely to raise these taxes so close to general elections in April and May 2019 because the taxes are ultimately passed on to end consumers," it said. And so, dividend payments and share buybacks by the oil companies will continue to be a source of revenue for the government. "High shareholder returns because of government policy -- will increase the oil companies' borrowings and constrain their credit profiles, and upstream companies will be better positioned than the refiners to maintain credit quality," said Vikas Halan, a Moody's Senior Vice President.